Californian born will.i.am, 37, is a globally successful singer and songwriter. 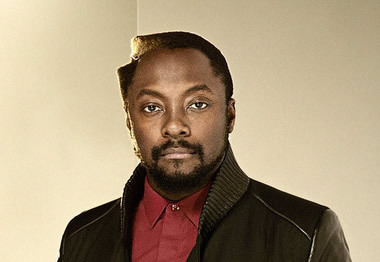 With the Black Eyed Peas will.i.am has sold over 30 million albums and nearly 60 million singles. He brings a huge knowledge of writing and performing successful songs and has worked with some of the superstars of the music industry including Michael Jackson, Rihanna, Usher, Justin Timberlake and Britney Spears. will.i.am is always in demand and he even performed at the Diamond Jubilee Concert held outside Buckingham Palace for The Queen in June 2012. He has been known to turn his hand to acting. He played John Wraith in his major film debut, X-Men Origins: Wolverine and he voiced the character of Moto Moto in Madagascar: Escape 2 Africa. Best known for: front man of the Black Eyed Peas and 7-time Grammy Award winner. Comment about the show: “I’m going to fight for great singers to join my team so I can fight for them“.